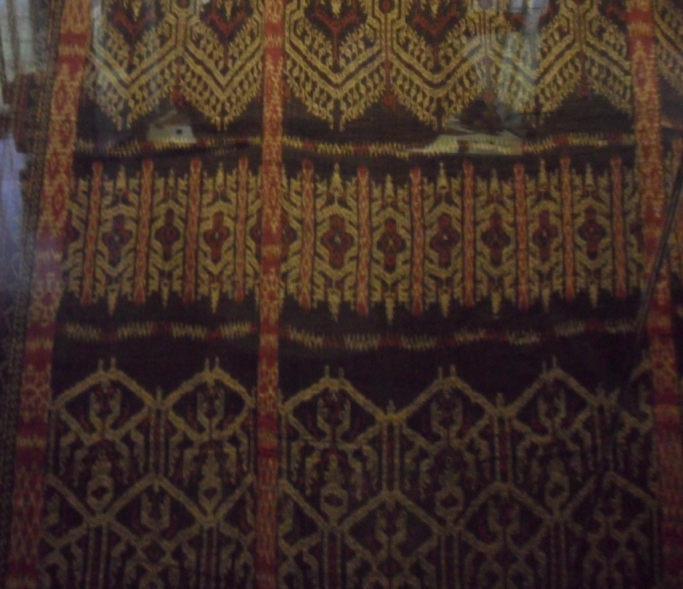 This is an example of one of the traditional textiles in Bagobo society, highly valued for their design and fine weave. It consists of several frieze patterns. The first frieze pattern below features the crocodile design. An analysis of the textiles, garments and photographs of the Bagobo revealed the dominance of a schematic representation of the crocodile(*). The other frieze patterns that follow also have the same type of symmetry group. (*)The Textiles of Southern Philippines, Lydia Angelica Reyes, University of the Philippines Press, Quezon City, 1992.